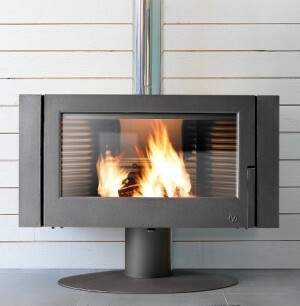 Looking for Large Capacity, modern design, solid cast iron and value for money stoves? 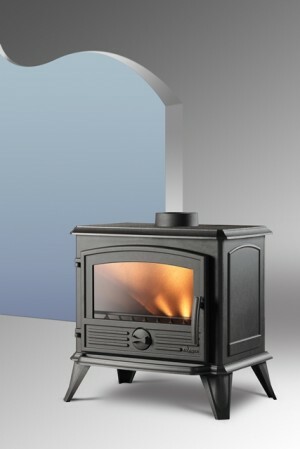 Then Invicta Wood Stoves are the choice for you. Invicta Manufactures all their cast iron stoves in house and have been doing so since 1924 in the Champagne-Ardenne region of France. All of Invicta’s stoves meet the requirements to carry a 5 Star Flamme Verte label of excellence ensuring great efficiencies and low emissions. 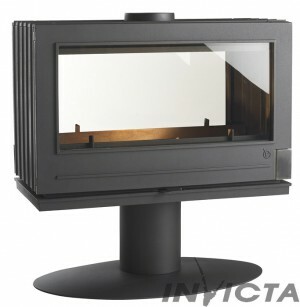 Invicta offers a 5 year Guarantee on their stove bodies. 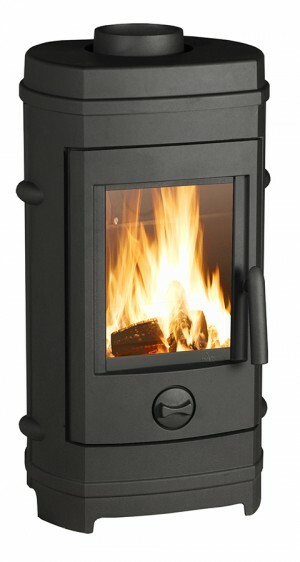 The Onyx is a large unique Masterpeice that creates a contrast between the white steel surround and the dark cast iron. 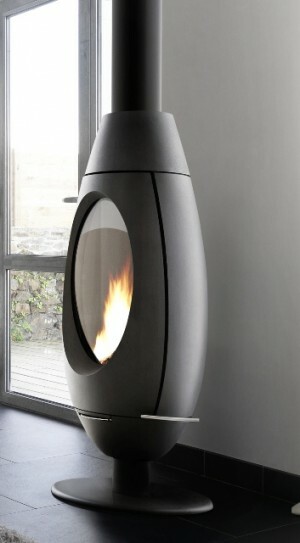 This Onyx is a beautiful room divider and is extremely functional with its huge heating capacity. Click here to read more about Invicta freestanding hearth Onyx. Invicta’s aptly named Ove is a beautifully oval unit with one of the most unique designs we have ever seen. The Ove has a very innovative air inlet control as well as an elegant door handle that fits perfectly with its modern clean lined seductive design. Click here to read more about Invicta Ove. 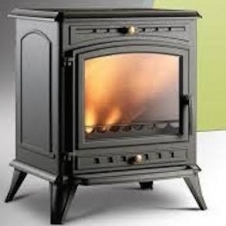 The Invicta Fifty free standing cast iron stove is made in the spirit of the 50's with the technology of today. This high performance unit is also available with a white or red front. This unit has a unique door latching mechanism that has proven to be very effective. Click here to read more about Invicta Fifty on Pedestal. The Invicta Antaya is captivating with its wide door and panoramic glass uniquely displaying the flames. The door handles and vent controls are discreet and functional. With the capability of burning logs up to 71cm long this stove can handle a large fire while still being efficient and low on emissions. Click here to read more about Invicta Antaya. The Invicta Itaya has an exceptional design. A very unique square face with round back design that is not seen very often in solid cast iron. 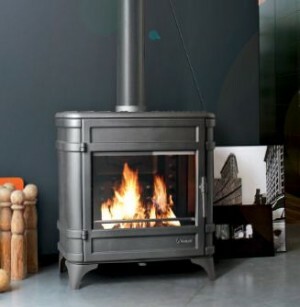 All this while having an efficiency of 76% makes this stove a winner in our books. Click here to read more about Invicta Itaya. The Invicta Symphonia is a beautiful panoramic cast iron stove with a solid cast iron frame that has an eye catching design which complements the show of flames perfectly. At just over a meter wide the Symphonia is more compact than the Invicta Gaya but still maintains the heating capacity and efficiency of the Gaya. Click here to read more about Invicta Symphonia. At last!! We have a double sided modern clean lined slow combustion cast iron stove that has awesome proportions and very impressive heat output. The Invicta Nelson is quite possibly the first free standing double sided cast iron closed system fireplace that exceeds 800mm in width in South Africa. 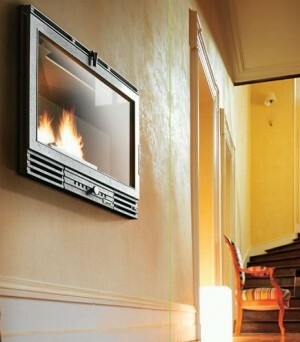 Click here to read more about Invicta Nelson double sided fireplace. The Invicta Chamane has all the attributes of being the very best value for money cast iron designer fireplace South Africa has ever seen. 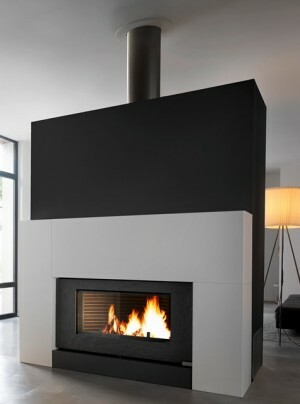 The tall firebox, door and glass display the flames in the best possible way as well as allowing the flames to be visible over furniture, this unit will be perfect for large open areas because of its high kilo watt rating. The high efficiency of 78.7% makes the Chamane and Oracle offer designer comfort and performance to its users. Click here to read more about Invicta Chamane. The Invicta Chamane has all the attributes of being the very best value for money cast iron designer fireplace South Africa has ever seen. 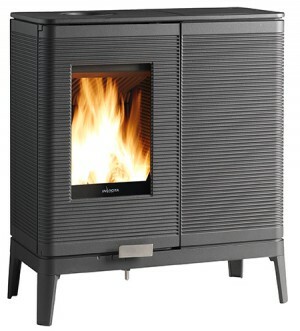 The tall firebox, door and glass display the flames in the best possible way as well as allowing the flames to be visible over furniture, this unit will be perfect for large open areas because of its high kilo watt rating. The Oracle is the same unit with the addition of a beautifully decorative façade that makes the Chamane even more of a conversational topic. The high efficiency of 78.7% makes the Chamane and Oracle offer designer comfort and performance to its users. Click here to read more about Invicta Oracle. 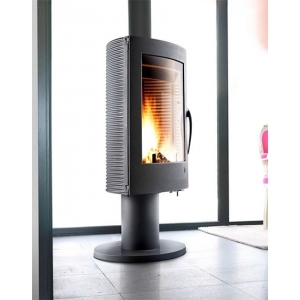 The Invicta Aratos is a beautiful sleek lined and modern wood burning cast iron stove that the brings practicality, warmth and beauty together in the best possible way. 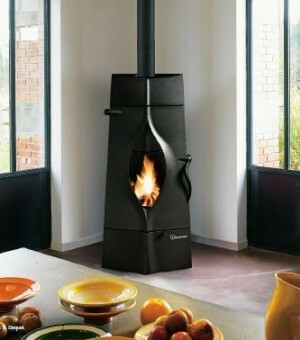 Well done to Bernard Dequet the designer of this stove. Click here to read more about Invicta Aratos. The Invicta Gomont and Cassine are a winning duo that provides two units with different heating capacities at market leading prices. 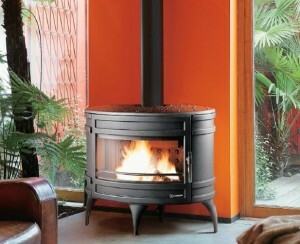 Both units have a 5 star Flamme Verte accreditation as well the standard 5 year Invicta guarantee. Click here to read more about Invicta Gomont or Cassine. 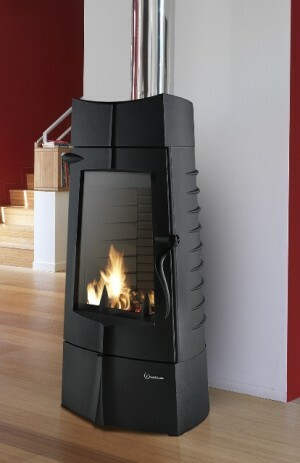 The Invicta Kazan is an impressive stove that has a stylishly formed body, large window and impressive proportions. 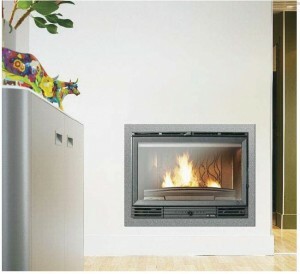 For a 9kW unit to boast 76% efficiency is no mean feat and is a testament to Invicta’s design team. Click here to read more about Invicta Kazan. 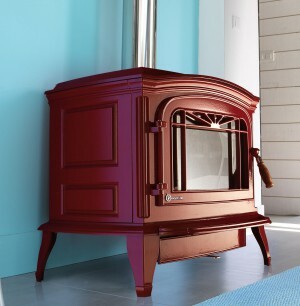 The Tennessee will fit into most retro to modern style homes and blends the old school stove with sleek lined modern lines to make something unique. 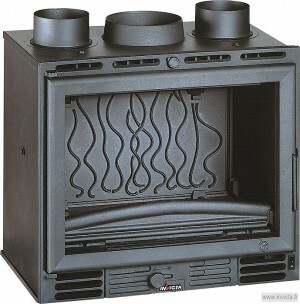 The Tennessee is a convection stove equipped with a mechanical thermostat that will regulate air intake according to the setting on the control knob on the side which does not require electricity. Click here to read more about Invicta Tennesee. The Invicta Remilly is specifically made to fit into a more modern art deco style. The Remilly is best suited for rooms with limited space, as the unit does not take a lot of floor space. Even though the overall size of the Remilly is minimal, the unit still has the dimensions to accommodate a respectable size of fire and cut of wood. Click here to read more about Invicta Remilly. The Invicta Argos will never disappoint. This tall slender solid cast iron stove is state of the art and will rival any stoves ability to show flames in all thier glory. 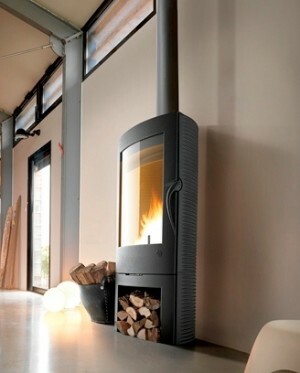 The curved glass and cleverly designed vent control simply adds to how impressive this stove already is. Click here to read more about Invicta Argos. The Invicta Iwaki three sided stove brings a Zen like harmony and serenity to any space with a view of flame from any angle in the room. Perfect view for large bedrooms and upright seating areas. Click here to read more about Invicta Iwaki. The Invicta alios carries a lot of the design principles of the Argos with the addition of a pedestal. This will certainly be a conversation piece in your home as well as leaving a lasting memory of how warm and inviting your home is. Click here to read more about Invicta Alios. The Invicta Akimix is the only unit we know of in South Africa that can switch from wood log burning to pellet burning in the same combustion chamber at a turn of a dial. 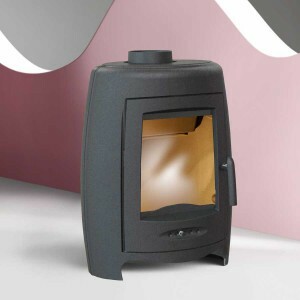 Pellet stoves need electricity to operate but with this unit you would simply switch to log burning mid stride should you be loadshed and also gives you option to burn wood logs should you not be able to get pellets or to burn pellets should you not be able to get well seasoned dry wood. The Akimix is 76% efficient and will burn 1.9kg of pellets per hour on max while having the capacity to be loaded with enough pellets for a 8 hour burning cycle. 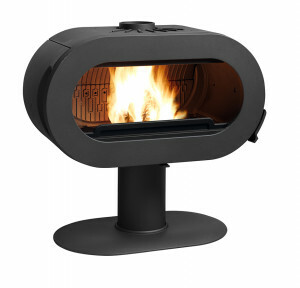 The Akimix gives the best of both worlds and presents a wood log fire's flames well. Click here to read more about Invicta Akimix. The Invicta Samara is a straight forward 8kW 75% efficiency hi quality solid cast iron traditional wood burning stove at great value. Click here to read more about Invicta Samara. 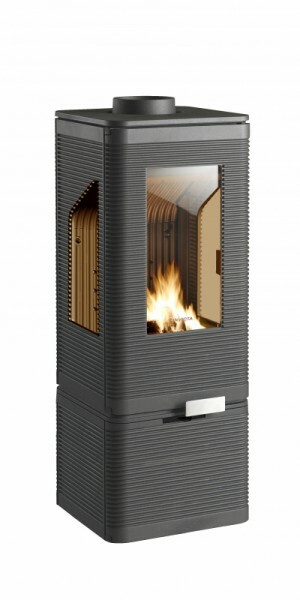 The Invicta Mandor is a “WOW” stove with its unique design. It takes a traditional look and twists it to produce a stove that we have never seen before and a size that will turn heads. The Mandor will be an exceptional showpiece in a home that matches its unique personality. 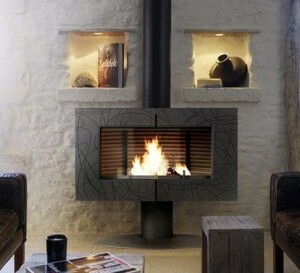 The technology and efficiency is what you would come to expect from a stove Fireplace City chooses to sell. Click here to read more about Invicta Mandor. The Invicta Bradford is a traditional cast iron stove with a bit of old school lattice over the door providing a classic look that will suit so many homes. This is without a doubt the largest freestanding convection stove we can offer and may very well be the largest convection unit in the country according to our knowledge. Click here to read more about Invicta Bradford. 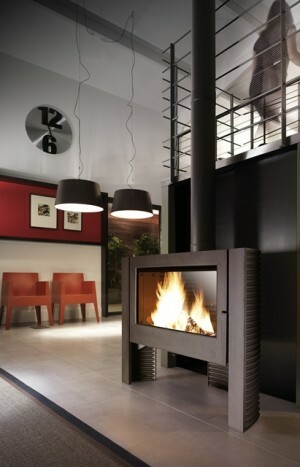 Designed by Jean-Philippe Dragenton the Invicta Altea is the perfect stove to make part of your home. It is a practical unit with a new post combustion system that allows the Altea to punch above its weight class in term of efficiency at 74.7% and environmental performance. The Altea may look traditional but it proves you do not judge a book by it's cover. Click here to read more about Invicta Altea. Click here to read more about Invicta La borne2. 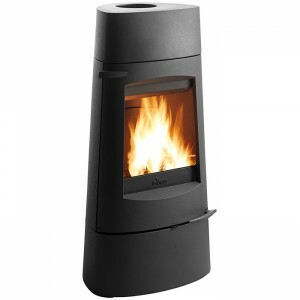 The Siam is yet another Invicta stove that puts a spin on traditional design. The Siam has a large door that provides a great view of the flames and the castings are immaculate. Click here to read more about Invicta Siam. 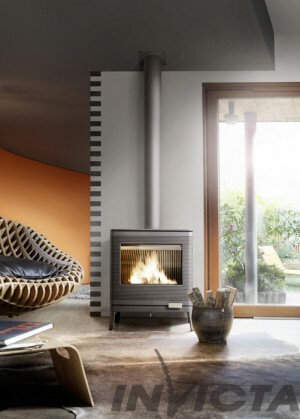 The Large Invicta 800 Vision Totale Turbo is a impressive closed combustion insert stove with it hefty 151kg thermal mass and innovative heat circulation fan system that can be ducted into to separate adjacent rooms for a more even spread of warmth throughout the home. Click here to read more about 800 Vision Totale Turbo. The Invicta 700 Grande Vision is the mid size unit we have chosen to sell as it works perfectly in most homes with open plan lounge, dining room and kitchen of up to 100 square meters. Click here to read more about 700 Grande Vision insert. The Invicta 600 Turbo is the smallest of the Invicta insert stoves that we have chosen to sell as it allows for great heating in confined spaces, the fan system on this unit allows install of the unit in a small room without over heating it due to the fact that air is moved most efficiently. Click here to read more about 600 Turbo insert.